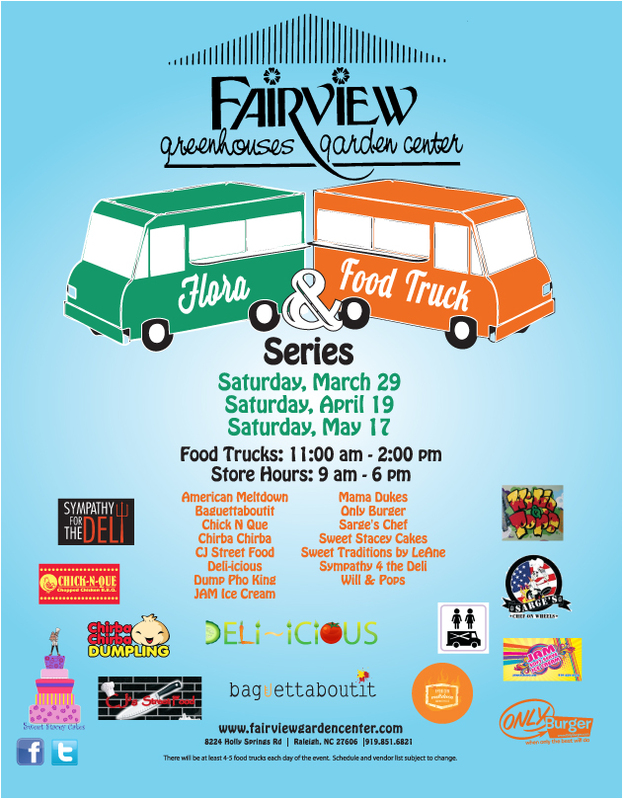 After a highly successful inaugural run, local retail garden center, Fairview Greenhouses & Garden Center, Inc. will host the second annual “Flora and Food Trucks” series this spring. “With the winter we’ve had, everyone should be anxious to come out, get some flowers to brighten up their lawns and have some lunch outside from the great local food trucks,” says J West of Sarge’s Chef on Wheels. The Flora and Food Trucks series promotes the idea that local food and local plants go hand in hand. Event attendees will have the opportunity to attend classes on vegetable gardening, herbs, perennials and container gardening. The events are family friendly and admission is free. The food trucks will be charging their regular prices for the food offered. 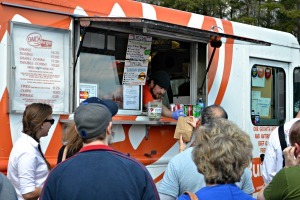 Each event day will feature four to five food trucks. Participating food trucks are American Meltdown, Baguettaboutit, Chick N Que, Chirba Chirba, Deliicious, Dump Pho King, Jam Ice Cream, Mama Dukes, Only Burger, Sarge’s Chef, Sweet Stacey Cakes, Sweet Traditions, Sympathy for the Deli, Will & Pops. The Fairview Garden Center hours of operation are 9 AM to 6 PM Monday through Saturday, Sundays 1 PM to 5 PM. The events are family friendly and admission is free. The food trucks will be charging their regular prices for the food offered. Each event day will feature four to five food trucks. Fairview Garden Center is located at 8224 Holly Springs Rd. Raleigh, NC 27606. Flora and Food Truck events are held 11am until 2pm. The Fairview Garden Center Spring hours of operation are 9 AM to 6 PM Monday through Saturday and Sundays 1 PM to 5 PM.